Midnight at the word bunker, because THE YARN CANNOT WAIT. 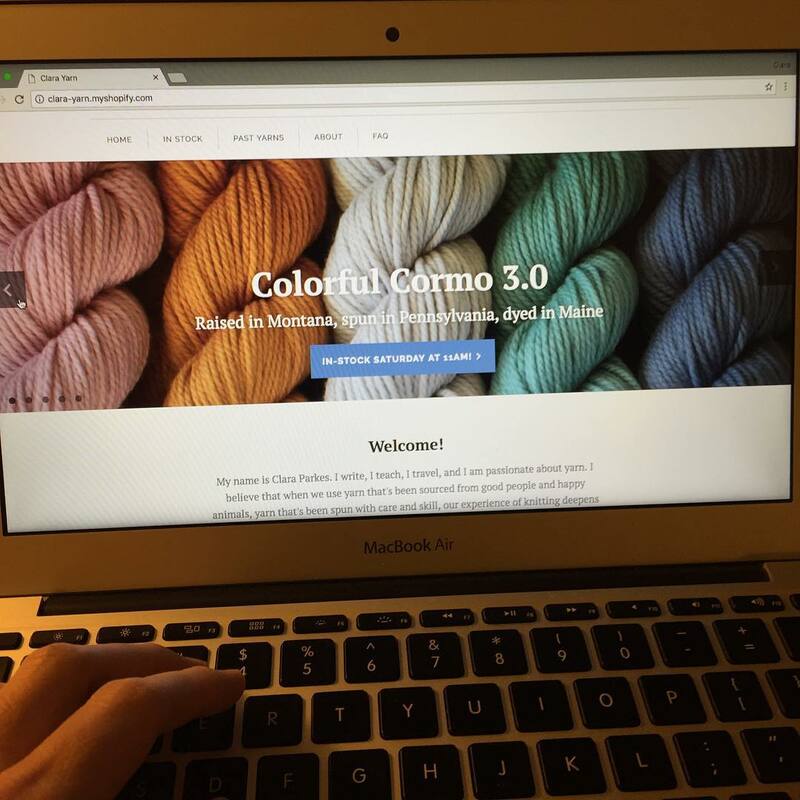 The plush spongy colorful skeins of Cormo 3.0 that have been making my fingers so happy will be offered up on ClaraYarn.com tomorrow (Saturday) at 11am, with a smaller release at 3pm and a last lot at 9pm. I’m experimenting with multiple batches to ease the stress (and potential heartbreak) of everything happening (and going) at once. This yarn has calming, centering juju – and it can make you a Christmas cowl in a matter of hours.